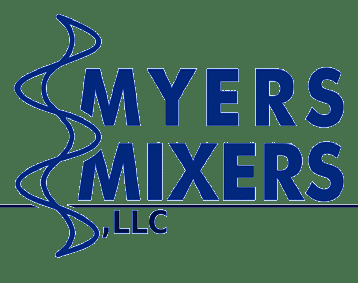 Myers Engineering, Inc. 600/800 Tank Mounted High Speed Disperser. 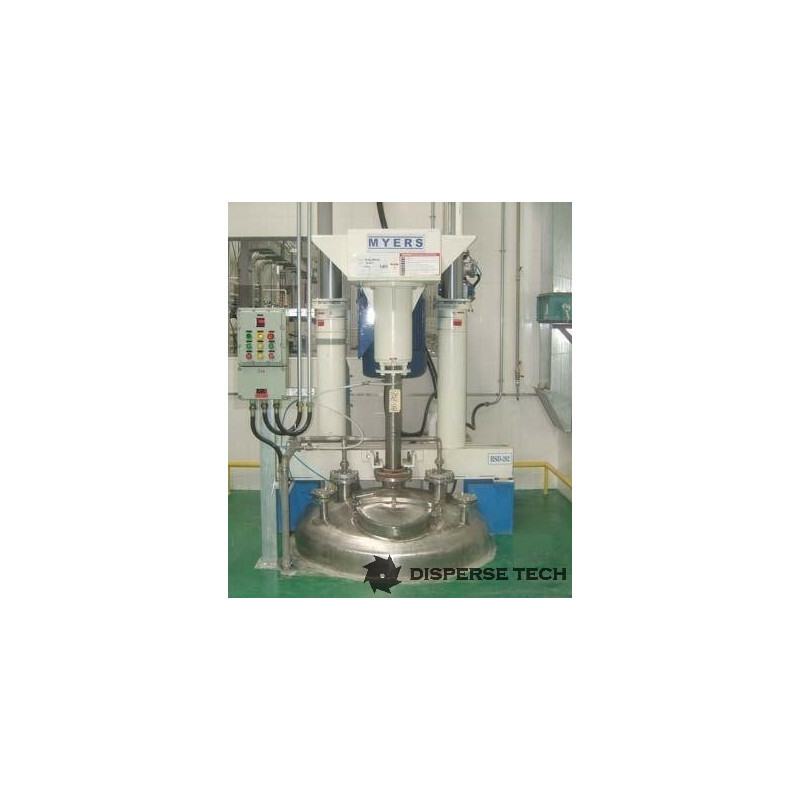 Heavy duty single shaft disperser has a compound drive utilizing one short wide belt and reduction through V belts. 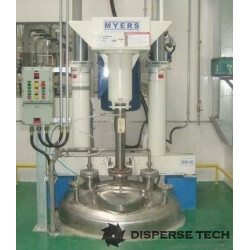 This disperser is extra rugged to reduce down time. Take advantage of maximum capacity with minimum height and floor space. More dispersion in less time. Can be supplied with fixed blade position or with hydraulic cylinders to allow adjustment of blade height.